Ignorance, corruption or lax policing: What ails PUC checks of Chennai’s 54 lakh vehicles? A recent study by the Centre for Science and Environment ranked Chennai second, only behind Delhi, on emissions of heat-trapping carbon dioxide, toxic pollutants, particulate matter and nitrogen dioxide due to urban commute. The average trip length of cars were found to be highest in Chennai. Low public transport ridership and growing population have been identified as the cause for poor showing, which is predicted to get worse if measures are not put in place to check vehicular emissions. The growing vehicular population in Chennai and Tamil Nadu has been a trend unabated in recent years despite the introduction of the Chennai Metro and the existing public transport infrastructure. In a recent submission made to the state assembly, Transport Minister Vijayabhaskar stated that there has been a 7.62% increase in vehicular population in 2017-2018 alone. Statistics from the state transport authority as on April 1, 2018 places the total number of two-wheelers registered in the city (including scooters, mopeds and bikes) at 42,54,811. The total number of cars stood at 8,56,270. 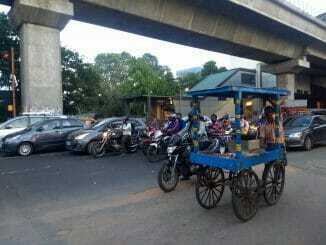 Auto-rickshaws numbered 82,889 and there were 94,067 goods carriage vehicles including lorries in the city. The total number of public and private buses stood is 5575. In all, Chennai is home to 53,94,413 vehicles! But what are the checks in place for the emissions from these vehicles? At the time of purchase, every vehicle comes with a Pollution Under Control (PUC) Certificate that indicates compliance with pollution control norms. This is mandatory under the Central Motor Vehicles Rule, 1989. The certificate issued on purchase of a new vehicle is valid for one year, after which it has to be renewed every six months by having the vehicle tested at a PUC centre. PUC testing is the only existing mechanism to monitor the emissions of individual vehicles and ensure that they are in compliance with the Bharat Stage IV Emissions standards, which was adopted by the country in 2000. There are 45 authorised emission testing centres within the jurisdiction of the Regional Transport Offices (RTO) at Chennai Central, Chennai East, Chennai West, Chennai North, Chennai South, Chennai North West and Chennai South West and a further 17 centres attached to Thiruvallur and Meenambakkam. Who can certify vehicles for PUC? The setting up of a PUC centre is a process that involves multiple authorities and runs into months. After approval from the Transport Commissioner, a two-day training is held for those who wish to set up a centre. The training is held by the Tamil Nadu Pollution Control Board (TNPCB). The licence to run a PUC centre is issued, only after the necessary approvals from the Regional Transport Authority, the TNPCB and the Transport Commissioner have been obtained. Every PUC centre is required to be audited by officers from the RTO twice a year. While the licence issued is valid for a period of five years, the PUC centres are mandated to get a calibration certificate every six months from the manufacturers of the smoke meters used for testing emission levels. Those who man these centres must have a diploma or a bachelor’s degree in any field related to automobile engineering. Centre owners corroborated that these checks do happen once in six months. The audits are done at random and the officials visit unannounced with no prior notice. What happens at a PUC centre? 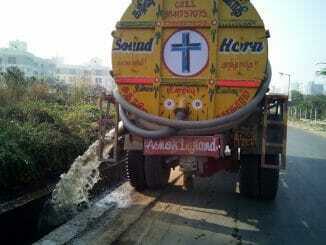 “We deal with the RTO directly. They come for inspections twice a year and check all the equipment and the testing process followed in the centre. They issue us 5 booklets of 100 leafs each containing the PUC certificates. When there is a need for a new booklet we approach them. At this time we must produce the calibration certificate of the smoke meter used. Only after the RTO officials have signed off on all this can we get a new booklet. The process is very rigorous,” says Balan, an owner of a PUC test centre on Mount Road. Vehicles coming in to get tested are asked to park before the centre and the smoke meter detects emissions from the exhaust for petrol, diesel and LPG vehicles. The reading thus recorded by the proprietary software of the smoke meter determines if the vehicles have passed the emission test. If yes, the vehicles are issued a PUC certificate. The problem, however, is that very few people do conscientiously line up for an emissions test every six months. “We get 10-15 vehicles on average every day, including two-wheelers, cars, autos and lorries. Most people are not aware of the need to renew the certificate. Those who do, only do so when they have to deal with the RTO for processes like change of ownership of vehicle. Then they get a PUC certificate. Autos and cabs who want to ply with aggregators like Ola and Uber get the checking done before signing up,” says Balan. Conversations with individuals who own and drive vehicles elicited mixed response on the possession of a PUC certificate. 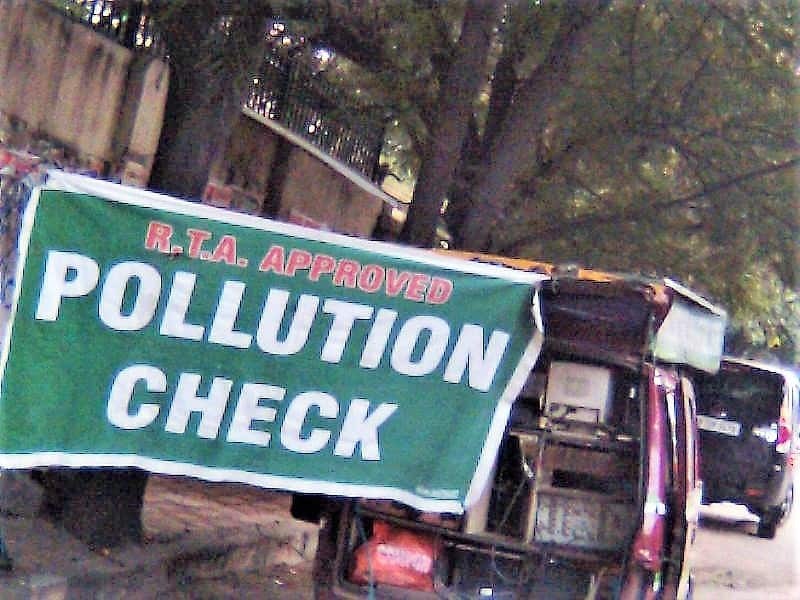 While cab drivers and auto drivers say they are aware of the need to renew the certificate and test emissions every six months, many private car owners and two-wheeler riders confessed that they were either unaware of the requirement or were simply lax. “I have gone to the PUC to test my vehicle regularly as we have to produce the certificate in order to get a fitness certificate for my auto every year. Besides, there are periodic checks by the police and my livelihood depends on this,” says Samuel, an auto driver, who also used to drive for Ola. Cabs and auto rickshaw drivers are widely pulled up for checks on their emissions certification, the reason why they don’t miss out on these checks. However, how authentic are these certificates that they hold? The practice of bribing the PUC operators for a nod cannot be overlooked in this context. R Muthusivan (name changed), an auto driver in Adambakkam, says that most auto drivers go for a pollution check once in six months. But, “there are autos that have faulty engines and should not be given a certificate unless the engines are serviced or repaired. That’s when these drivers bribe the PUC operators to get a certificate. If there is no fault in the autos, you don’t have to worry, since all it takes is Rs 40 for the check,” he adds. It is not difficult to imagine the prevalence of such dealings given the fact that one barely ever hears of a vehicle failing the PUC test! Most ironically, the law enforcers themselves are not all sensitised to the need for checks. Many auto rickshaws and diesel truck vehicles that are seen to emit fumes like chimneys on the road are not stopped by the traffic police. “The age of the vehicle is known once we see the Registration Certificate (RC) book. For any vehicle that has crossed a year, it must be checked whether the PUC certificate has been renewed in the last six months. But the reality is that the traffic police are often oblivious to it. We don’t attach as much importance to the emissions certificate as to the RC book, driving licence and insurance copy,” said a traffic police, West Tambaram division, on condition of anonymity. The directive of the Supreme Court linking PUC certificate with vehicular insurance is yet to be adopted on a large scale. The testing method followed by the centres have also come under question in several cases. This reporter observed that a centre must take an average of five readings for diesel vehicles before the certificate is issued, but the centres visited used the same protocol as for petrol vehicles. There is also an absence of a centralised database that would allow for checks on the status of the PUC certification for all vehicles in the city. The number of PUC centres is also woefully inadequate to cater to the vehicles plying in the city. This has resulted in a dire situation where the Government tables data showing that it is likely that around 96% of the vehicles in the state of Tamil Nadu may not have valid PUC licences. With only 12.6 lakh PUC certificates issued for 3.4 crores vehicles in Tamil Nadu in 2015-2016 (city-level data is not available), enforcement has been shoddy. 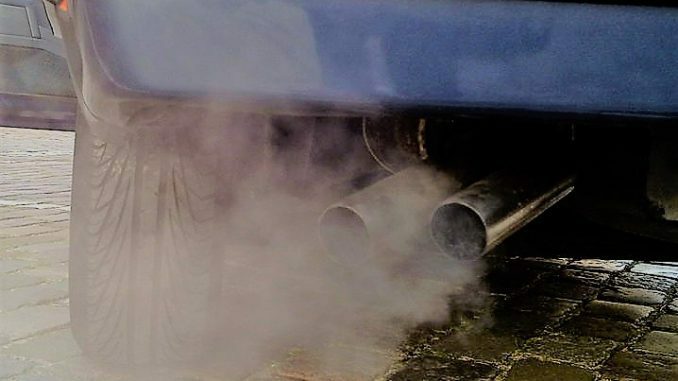 Not surprisingly, pollution levels have soared as a result of vehicular emissions, as evidenced by the CSE report. Without meaningful coordination among the issuing and enforcing authorities, and greater efforts at spreading awareness, it is only expected that the entire process of obtaining a PUC certificate will be full of loopholes. The final casualty will be the air that the city breathes, and by corollary, its people. This article is part of a special series: Air Quality in our Cities, and explores the root causes for air pollution and solutions for improving air quality in Bengaluru and Chennai. This series has supported with a grant from Climate Trends. From allegations against Corporation bureaucrats to the sewage tanker strike, and political rallies that caught commuters off guard, catch the buzz from your city this week, all right here. Mileage, check. Colour, check. Did you check emissions from your new vehicle? Vehicular emissions are among the chief sources of pollutants in Chennai’s air. But how many people know that they can check the environmental performance of their vehicle at the time of buying, by looking at a document that the dealer is mandated by law to provide to every customer? 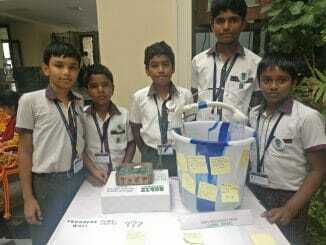 Can a motley group of school students aged 8 to 13 suggest and devise solutions to problems such as air pollution, waste management and water scarcity? Yes, they can and the Sarvalokaa Hackathon in the city gave them a platform to showcase their innovative solutions.